We are starting the second week of BM 30 and I am all set to do Combo Dishes. Well set only in the mind as only one dish is ready and I am still thinking if the other two will make their appearance. As I said for the first week, I lost my pro active planning this edition and I find myself in a very tough situation of cooking and posting right away. This is what I asked for right! Last edition I was lamenting that there was no thrill and see this month, I am upset that days just flew and I am not prepared. Anyway coming back to the theme, Combo dishes are something that’s favorite with me. There is always something so exciting about Idli, Vada and Sambar right. Same goes for Chhole Batura etc. Like when you talk about any indian cuisine, we do end up pairing each gravy or dry with an indian bread. However there are certain combos that are famous. So I wanted to collect all such combos and have them as the theme. I collected the list from my BM friends and finalised on nearly 100 combos that I felt were rare or rather most of which I am yet to do. I picked up about 15 such combos and asked everybody to make 3. Only I didn’t really give much thought to the dishes I picked up, as the picking was random, to be fair to all. Imagine my shock when I ended up with somewhat similar dishes. And some that I have already posted. I had to settle down on something tough. So this Tonak Pav sound new and different. I remembered Archana making some Tonak for one of the themes, and I googled it. I read all the first page results and my inspiration for today’s dish is a mix of all those recipes. I understood what Tonak means from all the websites I read. From one of the websites says that Tonak is a side dish, probably named after what it means literally “tondak launchey” translated to “to touch the mouth”. 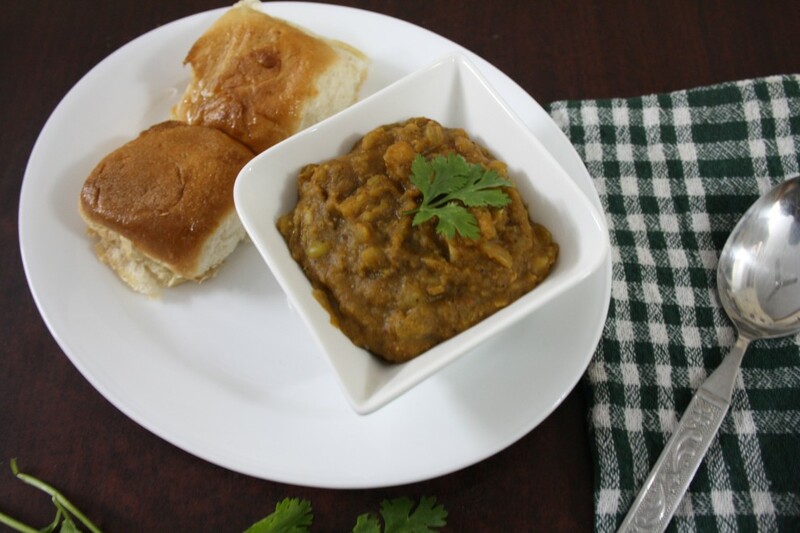 In Amchi the term for pickle or chutney, a dab of something to add a bit of taste, but the Goan tondak is a dish of dried peas, or other vegetables. 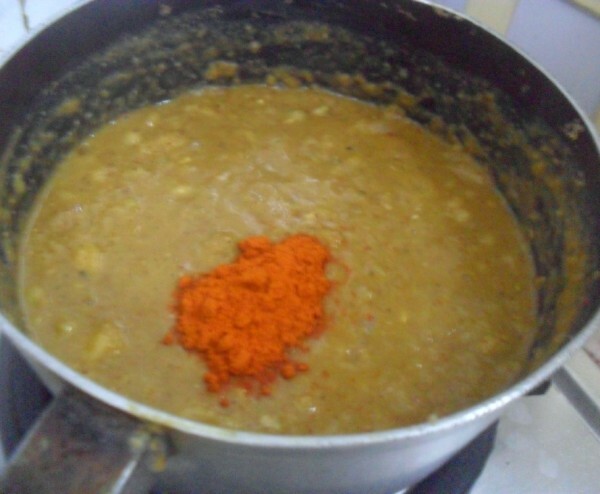 This bajji is made using yellow peas/ some use alasande or mushroom as well. I struck to dried green peas as I somehow don’t’ like yellow peas. Some of the sites referred to Goan Garam Masala. Now I checked on that as well and landed with just one too many. Finally I emailed all of them to Archana, asking her help. She wrote back after consulting her friend and I ended up using that garam masala for this bajji. I was skeptical as this uses tamarind and coconut. 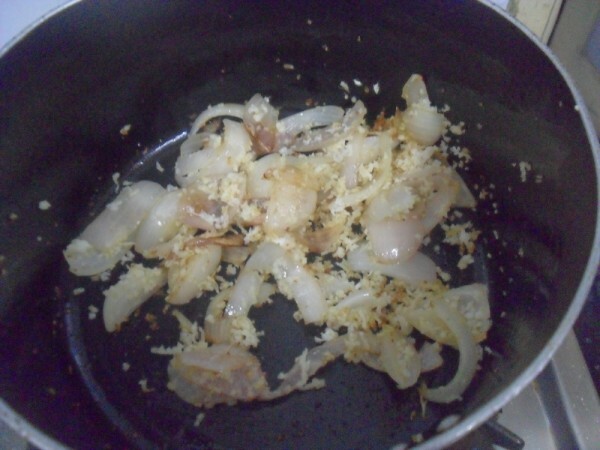 I was cooking with open mind and I was so surprised that everybody simply loved it. Infact Konda as declared that henceforth this bajji is what’s going to be made when I want Pav bajji. If you are using dried peas, soak overnight or at least 7 – 8 hrs and pressure cook till soft. MW potato for 5 mins, peel and keep it aside. 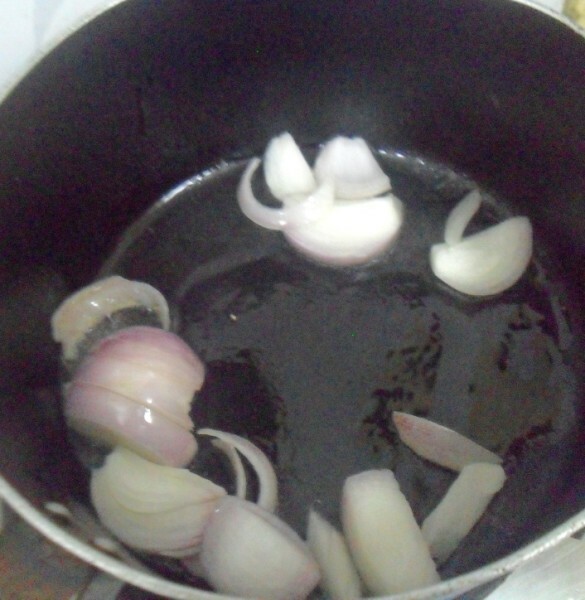 For the ground masala, heat a pan with oil and saute the chopped onions till they turn colour, then added grated coconut. Continue sautéing well. Remove and allow it to cool. Then grind this to a smooth paste along with tamarind extract. 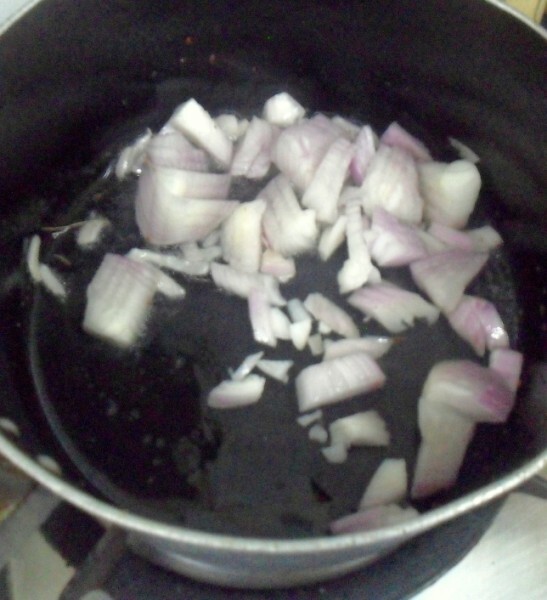 Heat a kadai with oil, saute chopped onions, then add ginger paste. 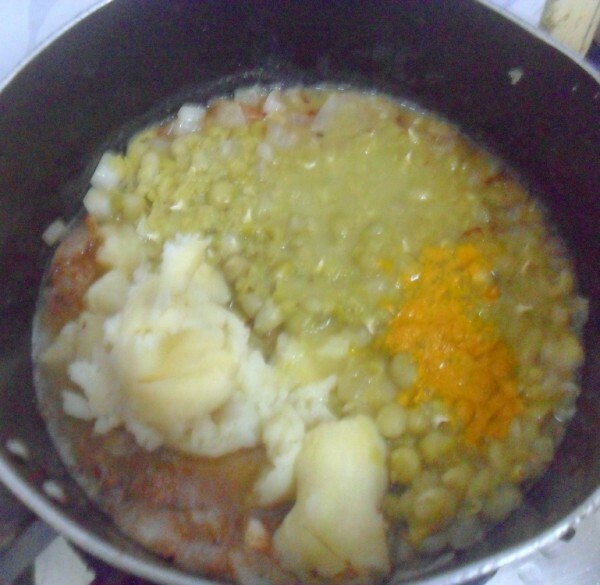 Now add cooked peas, potatoes and turmeric powder. 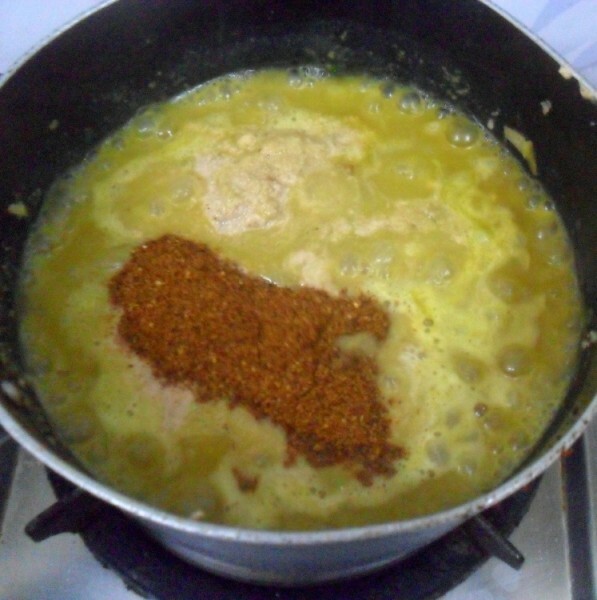 Combine everything well and then add the ground masala, mix everything together. Now add the Goan Garam Masala and add water. 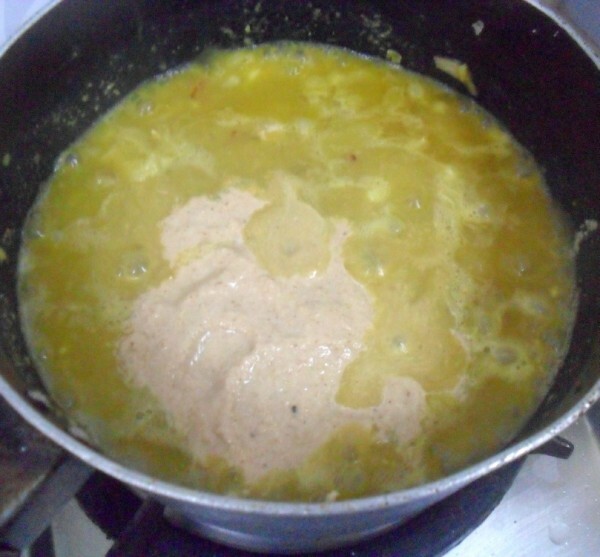 Bring to boil and simmer for 5 – 7 mins for the gravy to get cooked well. I served with store bough pav. I had even thought I must bake my own. Well another one of those baking dreams! Lovely recipe Srivalli! i am doing this one as well. It will be up on Thursday. like you mentioned, lot of research went into this post. Mine is slightly different version. Looks yummy! 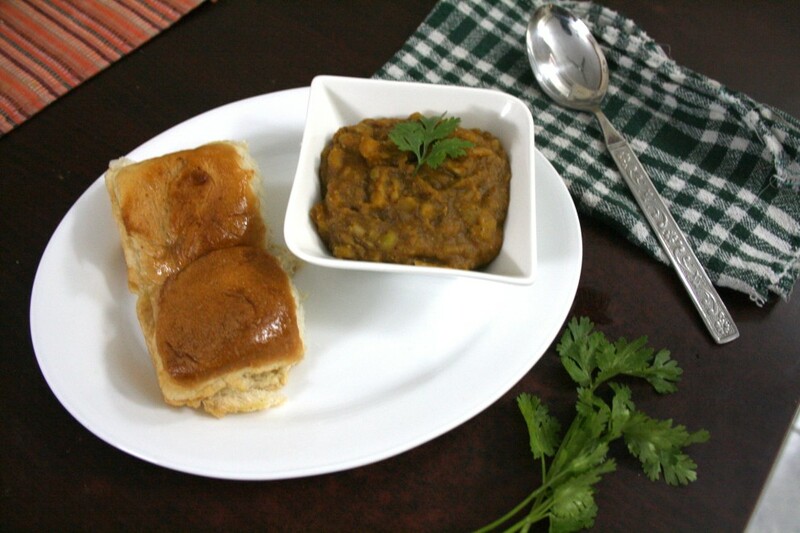 Very interesting and tonak pav sounds delicious as like the usual pav bhaji. Sounds tasty. What's goan garam masala? Is it different from the regular garam masala? I like the name of this dish. 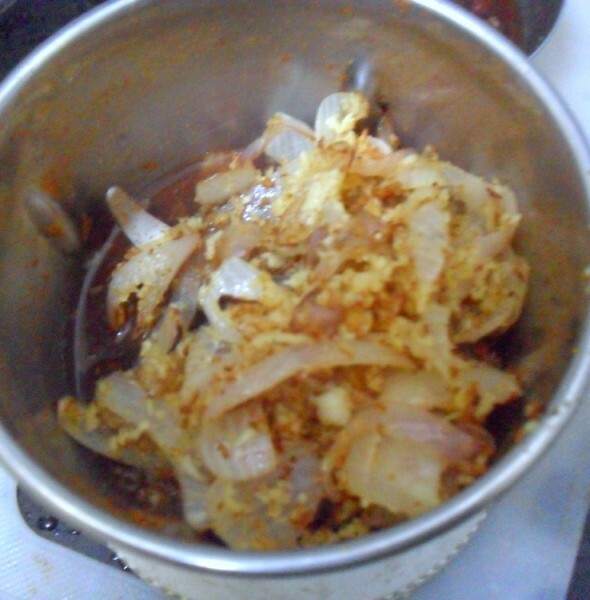 Well Thondak launchey in konkani means some pickle for the mouth to savour:) The dish looks yummy & very different. Need to give this a try sometimes. That sounds like a delicious combo. Bhaji looks so flavorful and yummy. Will have to try this. I love this version..bookmarked ..even I spoke to Archana about Tonak Pav..but some how due to lack of time could not work on this one..anyway it surely seems to be simple and delicious. Wow Valli it looks great. I am glad Konda liked it the boys may find it pungent. You got it just right.Thanks for the mention i played a small role. Looks so yummy ! I ave also selected this for last week..